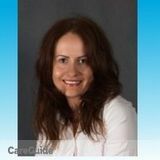 Want to connect with Jolanta? After 13.5 years in cleaning business, I gain much knowledge of client's needs and wants. In addition, I am well experienced and known for being an excellent provider, I offering great special prices as low as $20/h.